This fraudulent startup should make professionals take a closer look at what looks too good to be true. 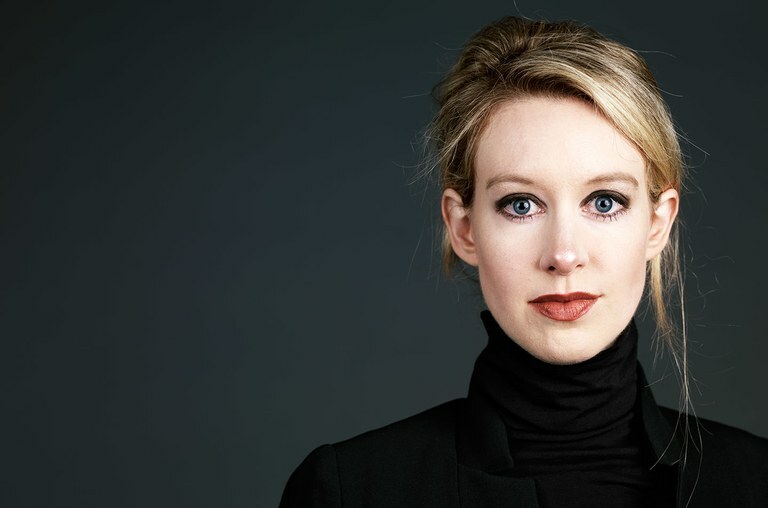 At first glance, Elizabeth Holmes looks like the lovechild of Steve Jobs and Elle Woods. Armed with alert, wide blue eyes, lustrous blonde hair, and a black turtleneck, Miss Holmes managed to convince big names like Henry Kissinger, Rupert Murdoch, and General "Mad Dog" Mattis that her innovative blood-testing device, Edison, could provide a variety of test results in just a few drops of blood from a fingerprick as opposed to filling up a vial. Oh, I should mention that at the ripe age of 19, Holmes dropped out of Stanford to build her dream of creating this new biotech device that happened to be constructed in a web of lies, secrecy, and medical psychobabble? Holmes was heralded as a Silicon Valley wunderkind with this new invention, but her lies eventually caught up with her after an investigation and subsequent exposé was performed by Wall Street Journal reporter John Carreyrou in the fall of 2015. With the help of insider information from ex-Theranos employees, Carreyrou was integral in bringing Holmes's corporation down. His book, Bad Blood: Secrets and Lies in a Silicon Valley Startup, has riveted the public in a truth that's stranger than fiction. As it turned out, Edison's results were woefully inaccurate, the technology itself was terribly misappropriated, and commercial devices were actually doing all the work rather than the Edison. What helped pave the way for Holmes's success was gaining millions of dollars in funding early on, firing any naysayers within the company who questioned the device's authenticity, stocking the boardroom with military leaders and political high-flyers instead of medical professionals, as well as keeping a low profile with no press releases and only debuting a website in 2013. Using her charisma and youthful energy, she defrauded investors left and right as her scheme went on. Holmes, now 34, along with the former Theranos COO and president, was indicted by a federal grand jury on several counts of wire fraud and two counts of conspiracy to commit wire fraud. At press time, Holmes is due to face the U.S. District Court in San Jose, California. 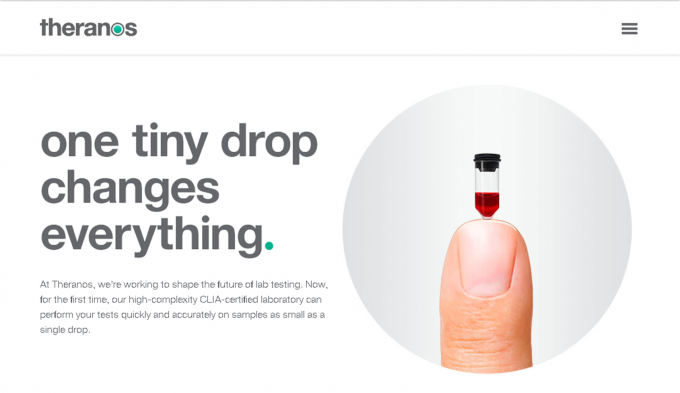 Theranos has now become the poster child of unethical business practices. In fact, the University of Pennsylvania's Wharton School and MIT's Sloan School of Management are using this as a case study in exactly how not to run an organization. Holmes had a fierce amount of ambition, but no moral compass to guide her in creating an authentic product that could actually help people. She surrounded herself with "yes" people instead of those who could provide years of medical and technical insight to counter her lack of professional experience. No one was there to stop her from destroying her own creation until she was exposed via the media. Holmes had no ethics, but the seasoned professionals with decades of experience sure as heck had to have some shred of ethics and conscience in order to get to their level. A venture can only survive if all involved perform honest business practices. If not, it'll go down harder than a ton of bricks. It's almost comical how this played out. As having once been a 19-year-old girl, I can wholeheartedly say that I would never have been fit to run a startup with no college degree at that age, much less convince military and political heavyweights to join me. When being courted to join a business venture, working professionals must ask themselves the age-old question, "Is this too good to be true?" Buying into an innovative new practice is always tempting and it's understandable that anyone would wish to partake in its future — particularly if a lucrative end is in sight. Business professionals — especially successful ones — are often prey to those that want to con them, to be used as a pawn in a devious game of climbing the ladder of success. Keeping up with and practicing business ethics no matter what stage of your career is one way to do your own due diligence when unique opportunities arise. There are even courses available for graduate students and executives who can gain valuable insight into what it means to make ethical and compliant choices at work in an ever-changing professional landscape. There will always be a new and exciting venture to come along in any career path, just be sure to take a closer look at what surrounds it — or what doesn't. The consequences of not doing so could harm both your reputation and your professional credibility. Learn why the University of Denver's Daniels College of Business offers one of the most innovative MBA programs in the country.